On June 30, 1908, an object fell from the sky, releasing more energy than a thousand Hiroshima bombs. A Siberian forest was flattened, but the strike left no significant crater. The anomaly came to be known as the Tunguska Event, and scientists have never agreed whether it was the largest meteor strike in recorded history - or something else. Alien artifacts have been uncovered since the 1908 event, and a new star drive is discovered. Out along the rim of the galaxy hangs a loose configuration of some 60 stars known as the Faustian Chain. This whorl of sparkling suns is rich in planets and occupies an irregular volume of space some 20 light years in diameter. From an external viewpoint, the Chain presents a colorful display of plasma-streams, luminous nebulae and sparkling pinpoints of light. 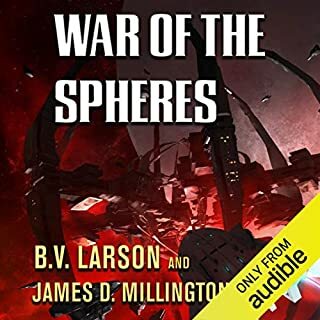 The human colonists who settled the Chain were aware the region had recently been populated by other species - beings that had all but vanished after waging devastating wars thousands of years in the past. Little was known of them, but certain areas in which their artifacts still persisted were proscribed by interstellar law. 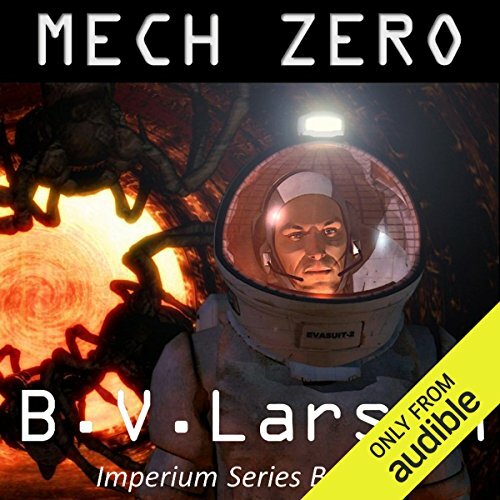 Mech: Zero is a novella by best-selling author B. V. Larson. Set at the beginning of the Imperium Series, this story is a prequel to the outbreak of war. The series involves early human colonies in a region of space previously occupied by a vicious alien species. 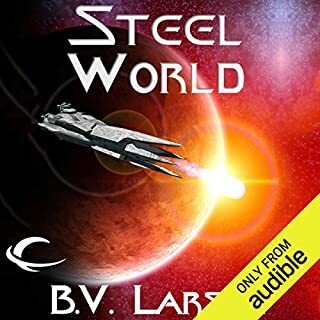 Nice short starter story, with cool Sci-fi. 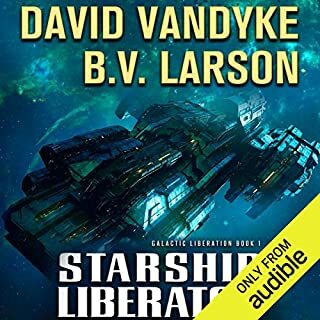 It should have been longer, but we'll see how Mech 1-4 is.B V Larson writes good books so far. Story started strong but fizzled about halfway thru. I am still going to read the next book. This short story is the prequel to the Mech series. This story can be skipped. The narrator simply reads and he is clearly no actor. His reading skills are somewhat mechanical. The story has no heroes at all but a series of bumbling and arrogant fools who stumble into a positive outcome. I listened to the entire story. it is not worth paying for. A great book that'll keep you listening wherever you go. the story is fast pace and action filled and the narrator does the content justice. 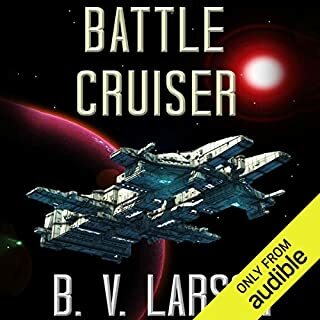 B.V Larsons sci fi is my absolute favourite listening material and I simply love his take on the monsters. One of the stupidest books I've ever forced myself to listen to. Disjointed plot and undeveloped characters. Should have returned it. What does Mirron Willis bring to the story that you wouldn’t experience if you just read the book? I'm pretty sure I could have done a better job, but hopefully he did better when he recorded the other books of the series. I bought this purely to see if I'd be interested in this story, and, as the headline says, I'm easily entertained, so I will be giving the series a chance. A reviewer of Mech 1 said that it needed a prologue, well this is it. 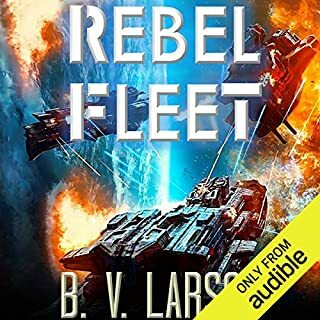 The story, while not the best I've ever listened to - even just in this catagory - is still good enough for cheap enough that I feel this is a good introduction to a series.I'd be willing to give a chance to. My only real complaint is the narrator who sounds like he phoned in the performance, that is to say that it was very robotic and took some getting used to. More objectively the ratings should be:Overall: 4 starsPerformance: 3 starsStory: 4 starsbut I bumped my rating with hopes that the problems I had with this first installment might not be present in the full length novels, and, as previously stated, I am easily entertained. Book* might be good? Narrator reads it as Spock. I got 10 minutes into the narration and couldn't hang. Spoken too fast, in clipped, overly enunciated tones. Rather more like Spock (the new Spock) than a practiced, professional narrator. I advanced several chapters, several times to give him a chance to ease into it; to no avail. I gave the story 3 stars because I don't know; it may be worth a read on paper, but not a listen. 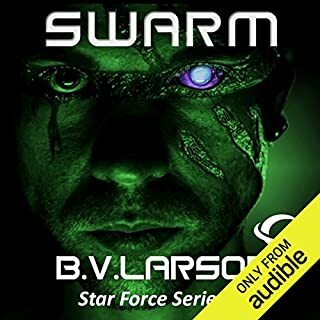 Sorry, Larson, I've liked your other work..
Prequel that sparks the right tones. Story only problem is that it was to short. Performance was clear and you forget it is only one person easily. Not bad, content was okay.. But cost is high for such a short read.